There are thousands of ways to say "I Love You" on Valentine's Day. With that in mind, we've created this romantic beauty. 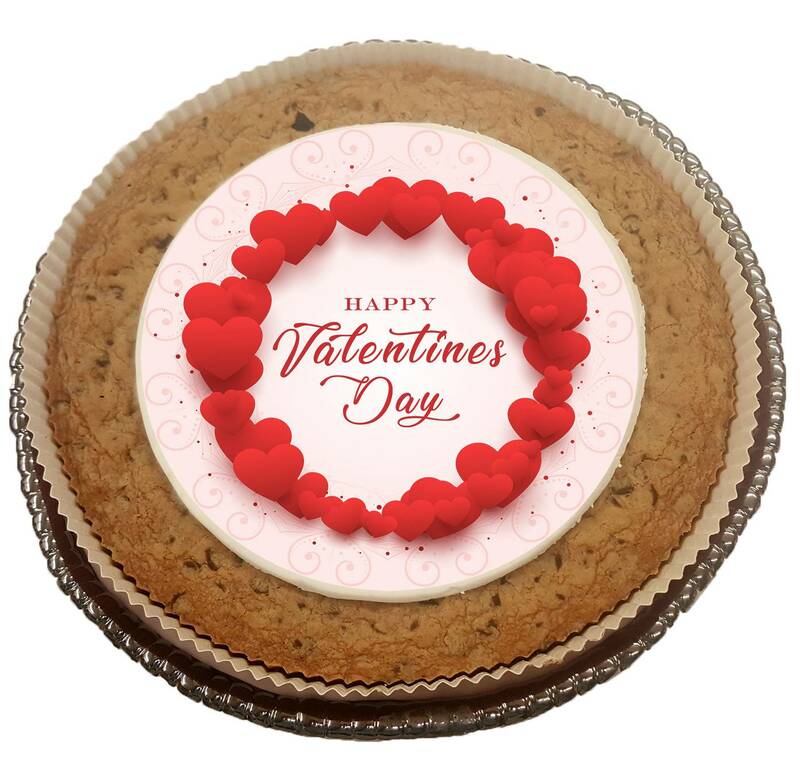 Our most popular cookie cake now comes adorned in romantic tones of pink and red with a "Happy Valentine's Day" greeting, printed over a delicious hand-rolled fondant and printed in 100% edible ink. Our giant freshly baked cookie cake is loaded with a generous amount of chocolate chips and embellished with royal icing and matching romantic red and pink shaped confections. Perfect for expressing your love towards that special somebody and also satisfying their sweet tooth. • Same Day Delivery is not available, but a great alternative is an immediate emailed Gift Card.